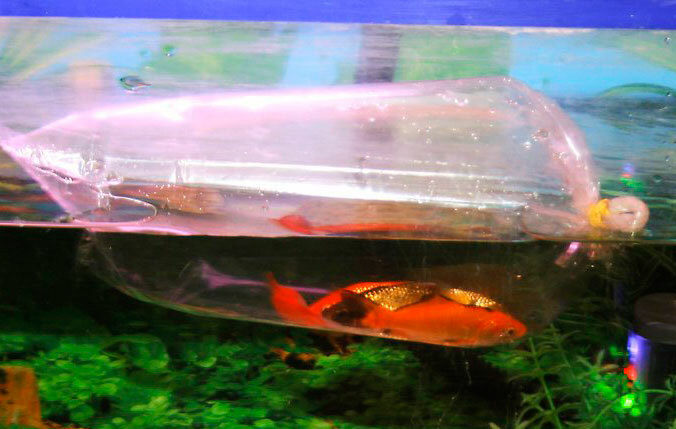 In this method we float the fish bag for about15 minutes in our aquarium water to equalize the water temperature. Then we pour the contents in a bucket and set up a drip line from the aquarium to the bucket. We ensure the water slowly flows into the bucket. Once the water level in the bucket is double that of actual fish bag water, we dispose half of the water without harming the fish and repeat the process. When the process is over, the fish is now ready for its new environment. On a biological perspective, different species have different body settings which are highly dependent on its environment. This is the reason why a certain type of species can only be found in a specific area. The same goes with marine life. Fish cannot simply adapt and survive in a new environment. However, if you wish to migrate your fish without the risk of them dying, you need to learn the right way to acclimate incoming fish into a new ecosystem. For you to be able to transfer fish into a new environment without compromising it, you first need to learn about acclimation. Acclimation, or acclimatization, is getting certain species accustomed to its environment. Several factors affect the health of fish in their environment, such as the water temperature, pH level, water quality, sedimentation, and ocean conditions. Acclimation is necessary especially if fish are to be transferred from their natural habitat to an artificial environment. This is most common when fish are taken from the lake or ocean and transferred to an aquarium. Naturally, fish are not easily affected by environmental changes when they are in their natural habitat and can always opt to migrate once a sudden disruption occurs. 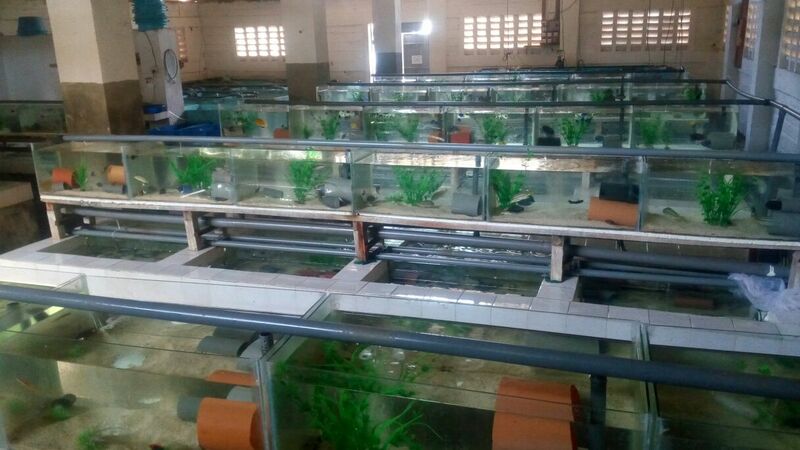 An artificial environment cannot originally meet the fish’s physical needs and need to be supplied with chemicals and adjust its oxidation level which can stress the fish and cause them to have illnesses and die. 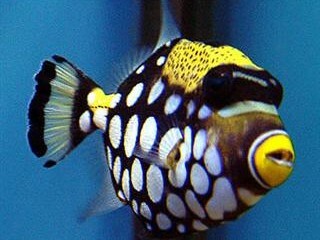 Entering your fish into a new environment abruptly can cause stress and illness. The right way to acclimate incoming fish comes in several methods. As simple as they may sound, several factors are also considered for these to be done properly. One way to acclimate incoming fish is through the floating bag method. The right way to acclimate incoming fish with his method is by allowing the bag the fish comes in with to float in the aquarium water. In its first fifteen minutes, the bag should be floated with its lid closed. Open the bag afterward and roll the lid outwards to allow oxygen to come in and disperse the carbon dioxide accumulated. Gradually put a small amount of aquarium water in the bag and continue to do so every five minutes. Once the fish bag is full of aquarium water, you need to scoop the fish out of the bag and transfer him/her/them to the aquarium. The idea of this method is to gradually adjust the fish’s body to the temperature of the water. At first the bag is floated with the lid closed to slowly adjust the bag’s temperature to the aquarium water. Take note that you shouldn’t spill the water from the bag when transferring the fish already to the aquarium as this may disrupt the pH level of the mixed waters in the bag with the aquarium. This method is best used for fresh water fish as they are less sensitive to pH level changes. Out of the two acclimatization methods, this is the easiest one with no other apparatus needed and can be done at home. If floating method is suited for freshwater fish, drip method is the only acclimatization method for saltwater fish. This method is more tedious and would require a five-gallon bucket and two air tubes and gang valves. 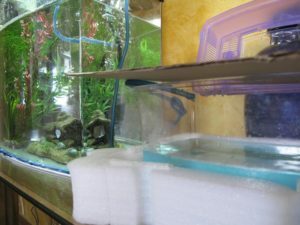 The right way to acclimate incoming fish through the drip method is by allowing the fish bag to float in the aquarium water with closed lids for the first fifteen minutes and opening the lid afterward. Gradually transfer small amounts of aquarium water as well in the fish bag every five minutes as well. After conducting the first three steps of the floating method, transfer the fish to the bucket by spilling it together with the water in the bag. Make sure that the fish will not be exposed to the air during the transfer and must be completely submerged in water once in the bucket. Attach one end of the air tube to the siphon drip line of the aquarium and place one end of the tube to the bucket. You can regulate the drip flow by using an airline control valve or simply tying knots on the tube. Turn on the siphon drip, with four to five drips going to the bucket per second. Once the amount of water doubles, throw half of its volume and continue dripping until the water reaches the same level. Afterward, scoop the fish into the bag, close the lid, submerge it in the aquarium, and finally open the bag to free the fish to their new environment. The entire process takes a minimum of one hour. In this method, patience is really needed and monitoring is necessary. Acclimating fish is a tedious process. Simple as these methods may sound, the actual demonstration would require patience and careful handling of the fish. Several factors are considered when transferring them to a new environment, mainly the water temperature and the water quality. Another factor to be considered when acclimating is light. During the acclimatization process, keep the lights off for at least four hours as this also affects the temperature and the entire adjustment process of the fish to its new environment. Transferring fish to another habitat could bring them stress and cause illnesses and even death, the reason why the right way to acclimate incoming fish is given. 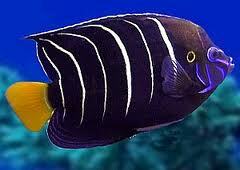 Allow the fish to stay in their new habitat for at least week to fully adjust. 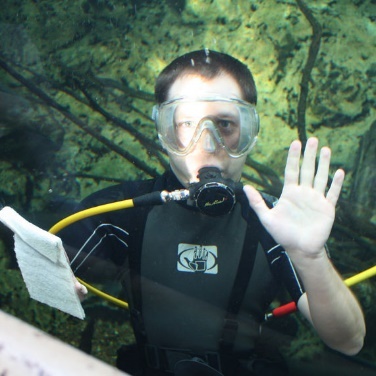 Toby Sanders has more than 15 years of experience in aquarium sector, he is totally passionate about creating Aquarist Guide blogspot. He enjoys sharing all of his knowledge to help you guys effectively build your own tank. He believes that when you find the easiest way to raise your lovely fish successfully throughout his blog, you will definitely fall in love with fish keeping more than a popular hobby.